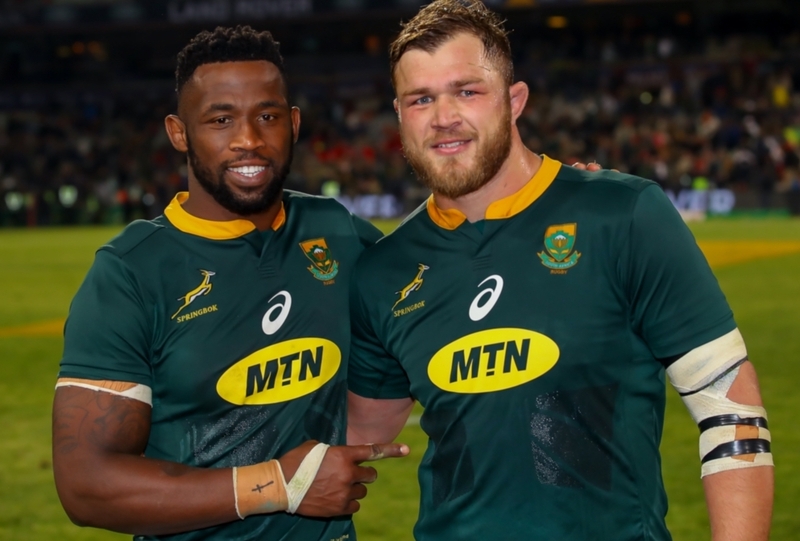 Not for the first time this season, there was a sense of co-captaincy about the Boks’ on-field leadership on Saturday, writes CRAIG LEWIS. Another gruelling season has come to an end. For some, the Christmas break will be welcomed with particular festive cheer. Simply put, there is far too much rugby being played in a calendar year, and Siya Kolisi is just one of those players who has fallen slap bang in the middle of the danger zone. To rewind momentarily, though, it’s worth reflecting on the Bok captain’s compelling performances over the course of the Rugby Championship. For the record, he finished the tournament as the leading forward for clean breaks (eight; equal rank seventh), defenders beaten (21; equal rank fifth) and for metres carried (267; equal rank ninth). Just for good measure, Kolisi was also ranked equal third for tackles won (67). At the conclusion of the tournament, Rassie Erasmus provided a ringing endorsement of his skipper. 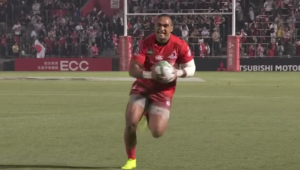 ‘Siya didn’t play too well in June, and we had a lot of one-on-ones about that, but now he is running into space, running over players, and putting guys away for tries. 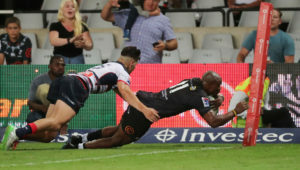 His play is now matching his leadership, and he’s settled into the position,’ the Bok coach commented. By all accounts, and form permitting, Kolisi should retain the leadership rights through to the 2019 World Cup. In many respects, Kolisi is a unique leader. Softly spoken, laid-back and willing to share leadership responsibilities, he doesn’t appear to have an egotistical bone in his body. 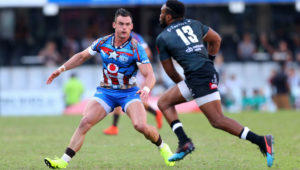 However, at various stages of the recently-concluded end-of-year tour, it did appear that the 27-year-old was running on empty after a year in which he has carried a heavy workload as a player, while also grappling with the varied demands of Springbok captaincy. With this in mind, Kolisi has been magnanimous in championing the benefits of a Bok leadership group. While Kolisi leads the team out, backline leader Handré Pollard is often seen delivering pre-match pep talks. Eben Etzebeth is a close friend and confidant. Francois Louw and Schalk Brits are two other stalwarts who impart strong leadership qualities. What we’ve also seen on several occasions this year is Duane Vermeulen effectively serving as a co-captain. If one recalls, the highly-regarded No 8 was in fact widely tipped as a front-runner for the Bok captaincy role before any announcement was made at the start of the year. Kolisi embraced the role once it was confirmed in May, and it’s an appointment that has been virtually unanimously celebrated, but captaincy responsibilities such as managing the discourse with referees is an aspect of the job that he has openly acknowledged to be a learning curve. Just this past Saturday, we saw Vermeulen often engaging in some robust discourse with referee Luke Pearce, while even sparking plenty of questions when he was seen briefly using an earpiece to apparently communicate with the Bok coaching staff. 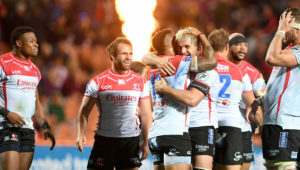 Such talking points are often blown out of proportion, but there can be no denying that the Boks do appear to perhaps be moving in the direction of utilising co-captains such as England do. 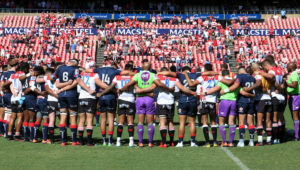 Such a dual role is becoming something of a modern trend that has also been seen in Super Rugby, but it does require the buy-in of all parties and a clear understanding of roles and responsibilities. There is no doubt that Kolisi would have banked invaluable experience as a skipper during the course of this season. At times, a more assertive on-field approach has appeared to be required, while there have been occasions when turning down kickable shots at goal have failed to pay off. As the Boks head towards the 2019 World Cup, they will know the importance of decisive leadership. Kolisi has grown as a leader during the course of the year, but there will surely be a need for some clarity if there are to be shared responsibilities at the global showpiece.